If you need to come into school to pick up cardigans, sweaters or t-shirts we will be open for parents next week on Tuesday 2nd and Wednesday 3rd from 11am-2pm. We look forward to seeing you then! 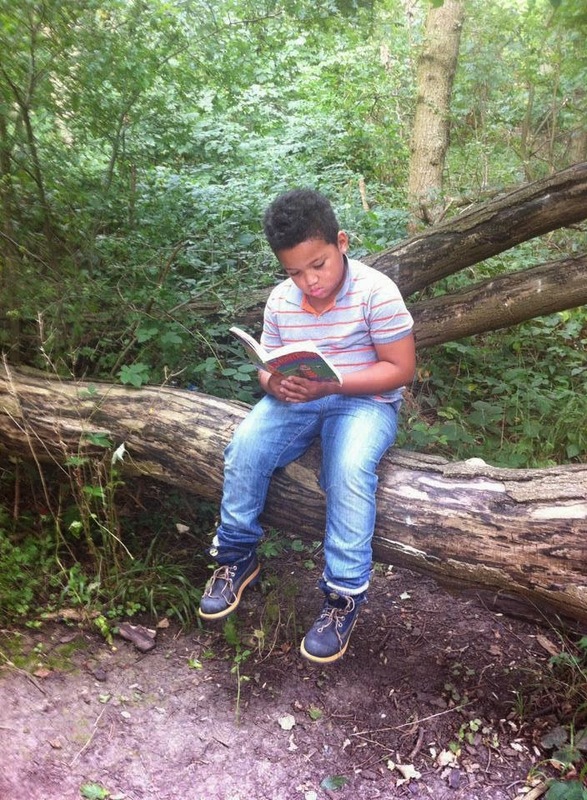 Get Caught Reading - Leo In The Woods! If you go down to the woods today you're in for a big surprise! But it's not a teddy bear's picnic, it's Leo... reading his book. It looks as though he had found a very tranquil spot for a read. Well done Leo. The artwork on them is stunning - these pictures were taken on the Riverside trail. It is a very imaginative way to inspire an interest in authors and stories... so why not have a go. On the way you could also link in other London attractions: the WW1 Poppy memorial at The Tower of London, the cable car in Greenwich or St Paul's Cathedral. 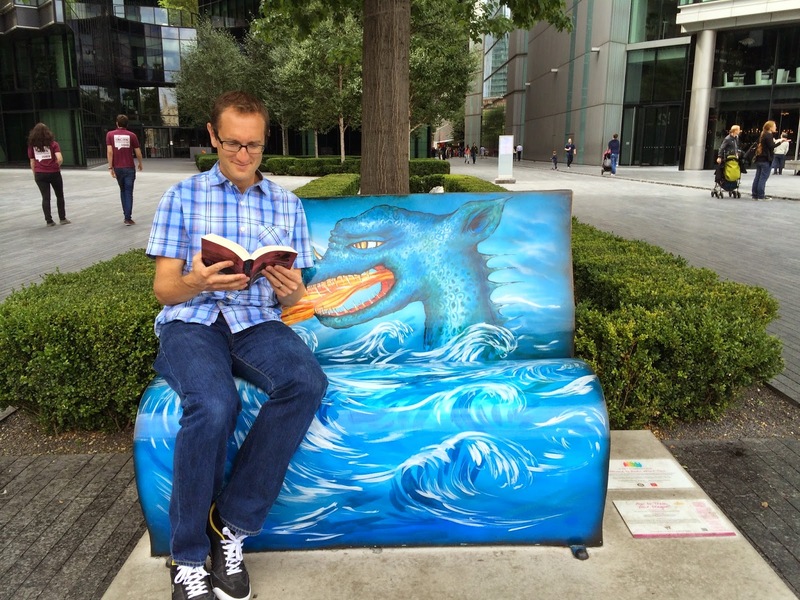 If you have any photos of you with the book benches, please share them with us. Year 5&6 pupils studied Macbeth for their Summer term literacy project and used the work of William Shakespeare as inspiration for a whole range of activities. It became the centre piece for their end of year show, pupils created clay models and artwork based on the themes and plot of the tale and we had a visit from the Sky Blue theatre company. 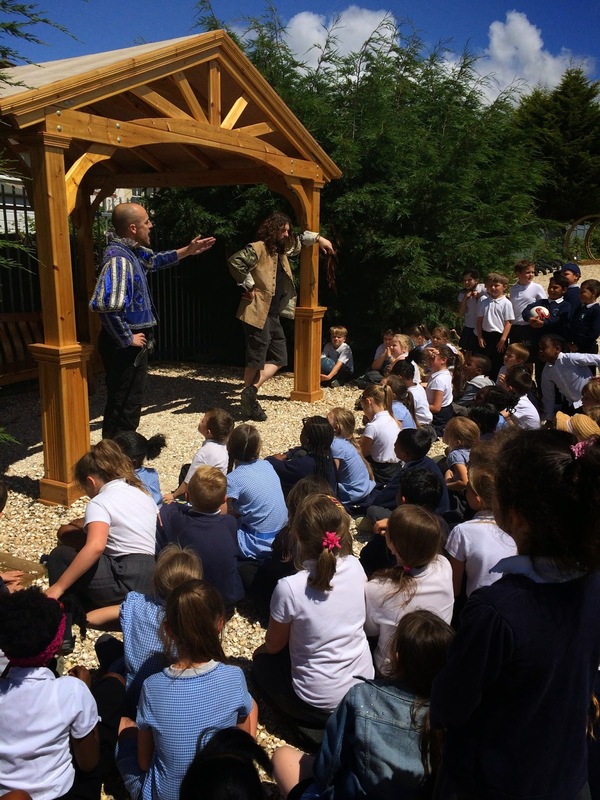 Once the morning workshops had finished the action spilled out onto the playground where Mercutio was confronted by Tybalt underneath the gazebo. Here they battled for family pride before Mercutio was brutally stabbed by his foe. Once word got round the playground of the epic battle that was taking place, there was only standing room left! On the last Wednesday morning of term our Nursery pupils had their graduation. It is a way of recognising how far they have come in such a short time. In the last three terms they have been developing key skills which will enable them to have a successful start to school when they begin Reception in September. Please continue to work on these key skills with your children at home. Congratulations to the children who have been chosen as the Reflectiveness Award winners for 2013-14. 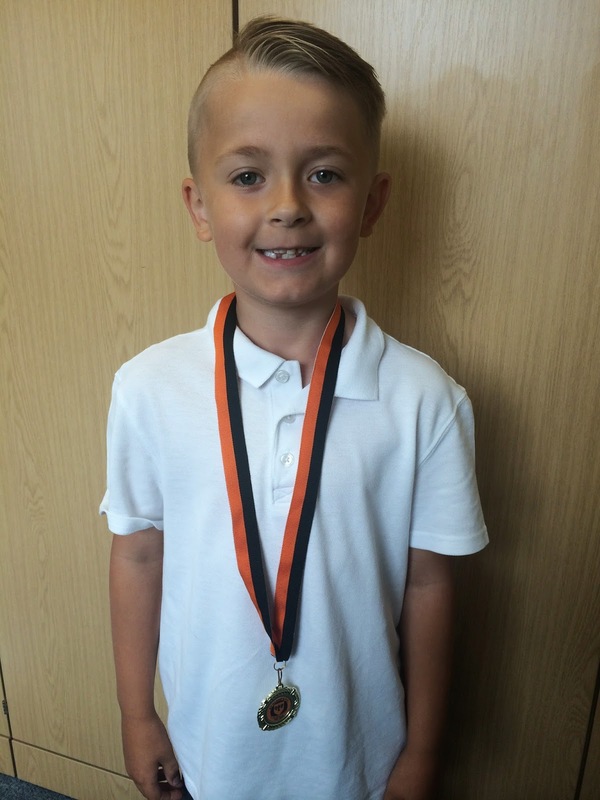 Both Ellis & Michael managed to win football medals before the end of the Summer term. 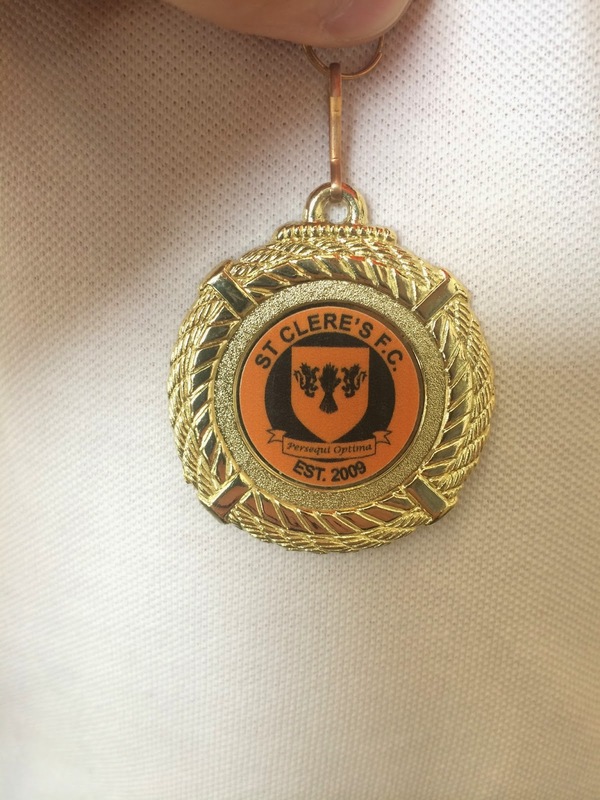 They had taken part in a tournament and helped their teams to do very well. Each of the boys managed to score a goal and they thoroughly enjoyed the day. 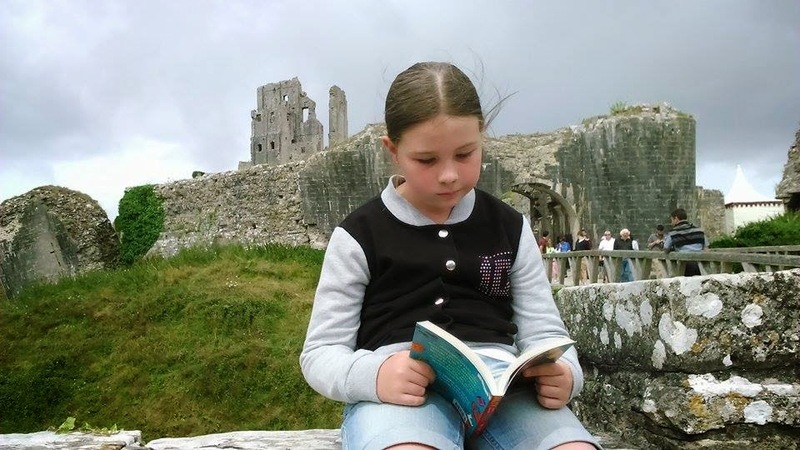 Holly found a quiet spot at Corfe Castle in Devon to enjoy her book. Look what happens to any children who are left behind by their parents! 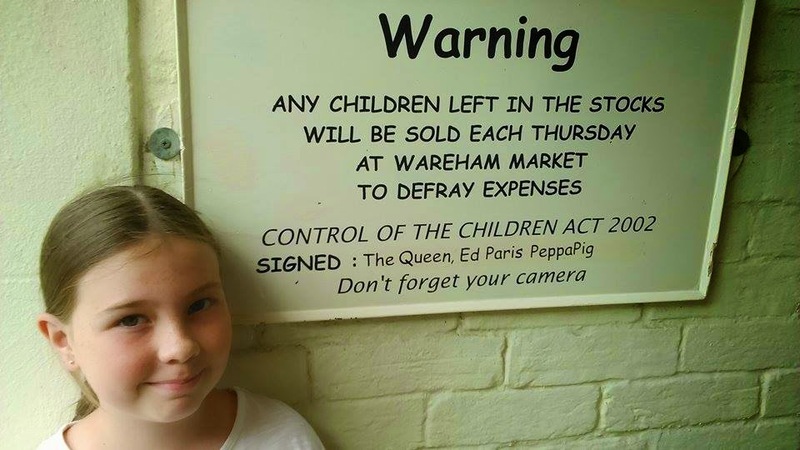 That is one way to deal with 'lost property'! Congratulations to Holly Maskell, who has been chosen as the Star of the Week in the Romford Recorder. All year her bubbly personality and infectious smile have contributed a great deal to everyday class life. In the recent talent show, she was one half of an excellent comedy duo performing with real confidence. 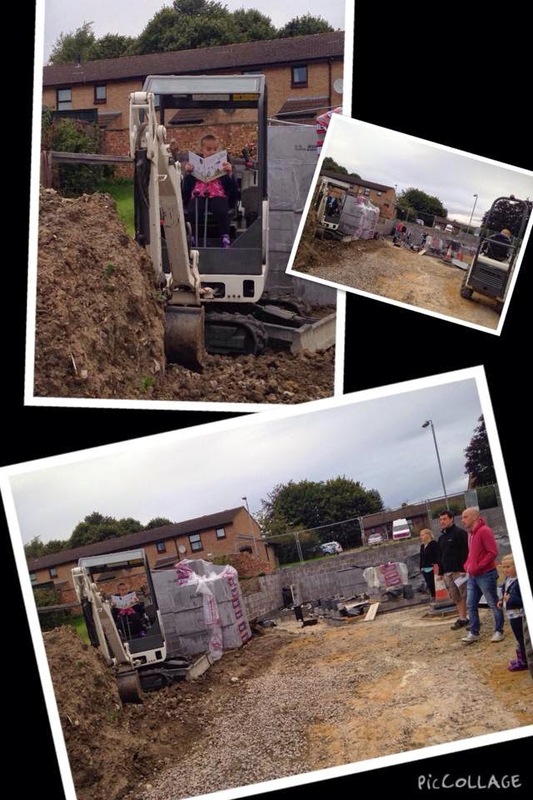 Well done Holly, we are very proud of you! Year 6 Classrooms - Almost There! The two new classrooms continue to take shape. Now the old salt storage containers have been knocked down, we have made an outdoor area for the Year 6 classes. This has been fenced in and new tarmac laid to make a space for outdoor learning. Inside the flooring has been laid in each of the rooms, we are just waiting for the furniture install which should take place next week. These are just some of their achievements this year. Well done to you all, and thank you! William and Charlie need to be very careful. 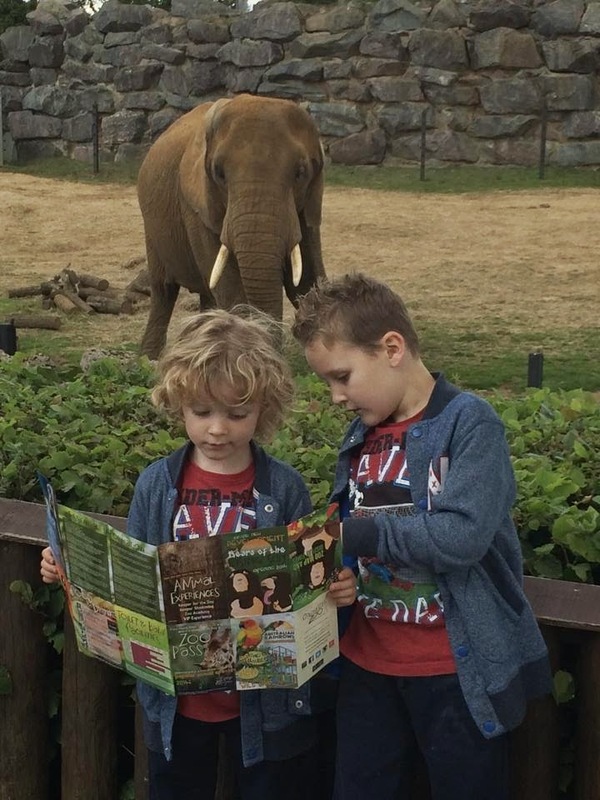 The story they are reading looks so good that a rather large elephant is approaching to have a look over their shoulder! Despite being surrounded by exotic animals at Colchester Zoo, the brothers still managed to find five minutes to keep up with their reading. Well done boys. Congratulations to these pupils who were recognised at the end of the summer term for their sporting prowess. In every PE lesson they listen carefully, reflect on their performance, demonstrate techniques for their classmates and display a healthy competitive spirit. 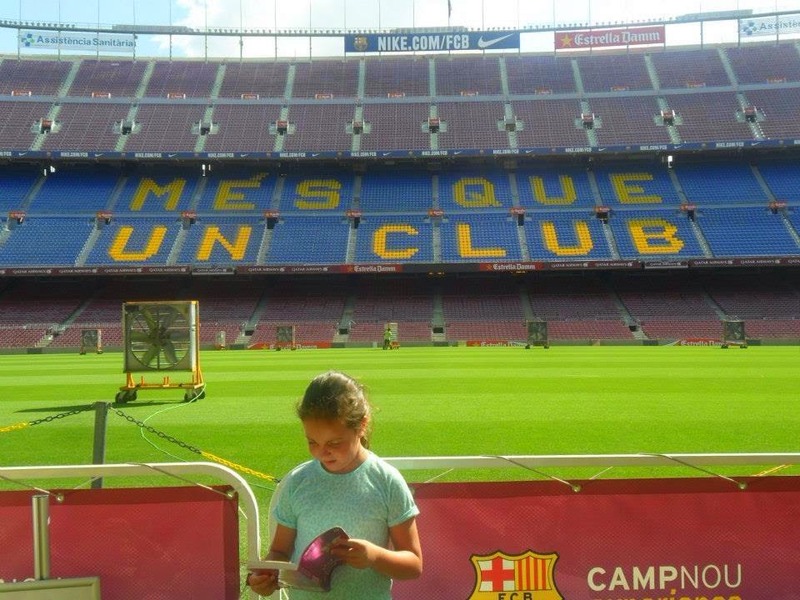 We can think of plenty of pupils who will be very envious that Alisha has managed to visit the home of Neymar Jnr. 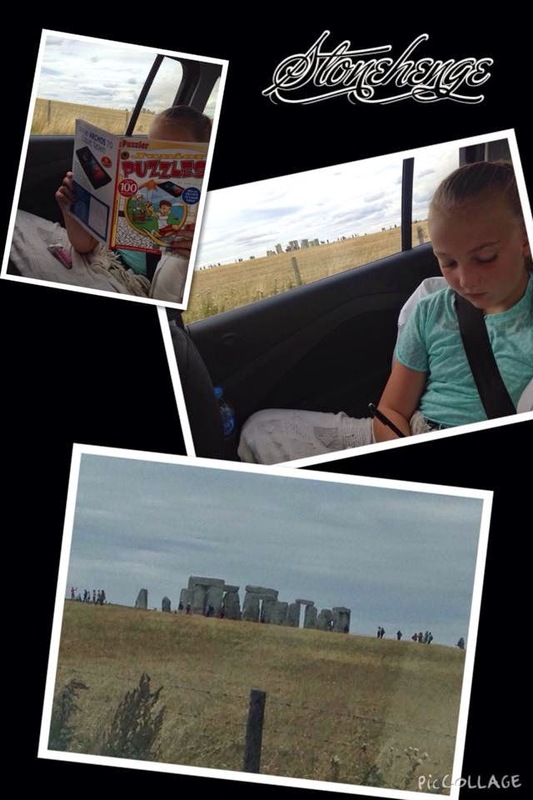 What a fantastic place to read! Thank goodness there wasn't a match on as the noise from 80,000 Barcelona fans would have been quite distracting. At Broadford we have now created a Bike Club programme which will take place every month. Bikeability Level 2 students are invited to participate in a 2 hour bike ride which includes Clothing and Maintenance Checks along with learning modules to help remind students of general bike handling safely. So far the Bike Club's students have really enjoyed riding on the key bike route 136 which is nearby. Already some of the less fit children are finding the ride less arduous and the children have stated they are riding their bikes between clubs with adults or older children. In addition to the above reasons, the Bike Club has proved a great opportunity for pupils to prove they are confident and able in a particular area. 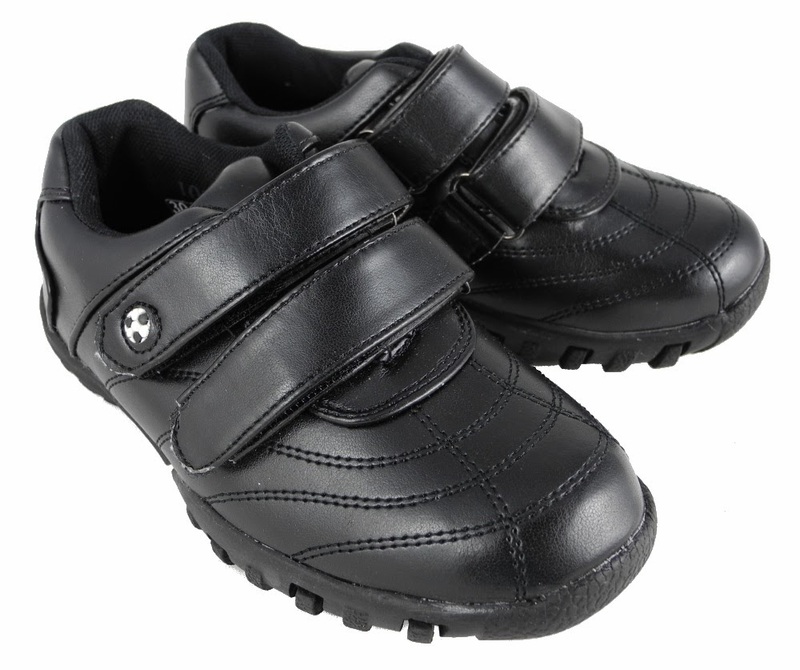 The direct and positive impact this has on their self esteem has helped their academic performance in class. We are looking forward to carrying out more bike clubs during 2014/15 and become Havering fittest and most proactive bike riding school. Thank you to all those parents who were able to make it to the EYFS Stay N Play Session. Following a wonderful assembly from Fern & Aspen class covering what they have learnt during their Reception year, there was a talk about the transition to Year 1 and a chance to have lunch in the EYFS garden. Look at this perfect quiet spot that Jackie found to enjoy her book! It might look like a pool in Marbella, but this is actually sunny Romford. When we were looking back through the memory cards, we found some pictures from the last Healthy Living Workshop that weren't published. Here is a chance to see some of the pictures from the Love Food Hate Waste event. We will be looking to host more of these events next year as they are always popular with parents and pupils. Have you got any photos of the children cooking at home that you could share with us? Please email them in or send them via Facebook. 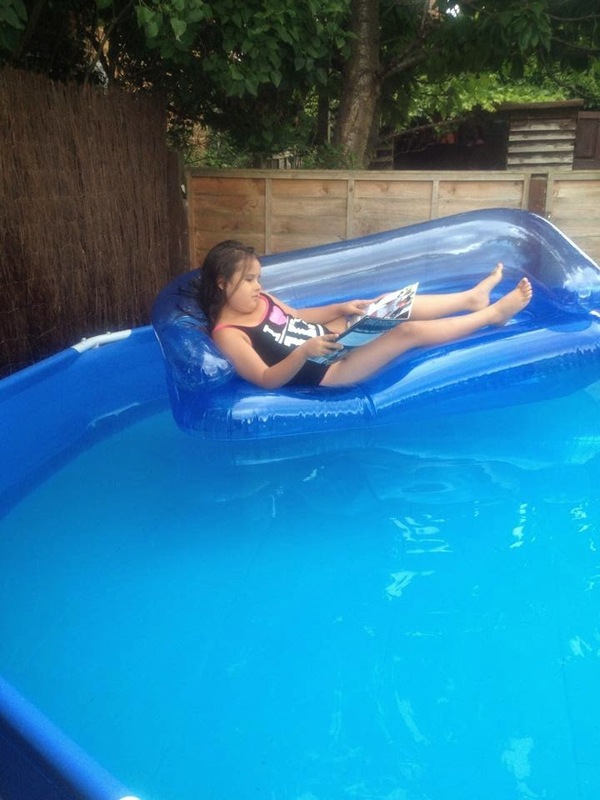 Get Caught Reading - Alisha Relaxes! We're In The Paper: Jessica Star of the Week!